Summary BBS2001 Summary of the immunology course. Cases and consolidation assignments are in there, as well are the practicals and the output of the practicals (Virtual microscopy output, no guarantee that everything is 100 % correct, but I asked a lot of questions during the practical so most of it will be correct). The workshop / lecture about immunological techniques is also in there. At the last pages of the summary, there is a table with important cytokines. 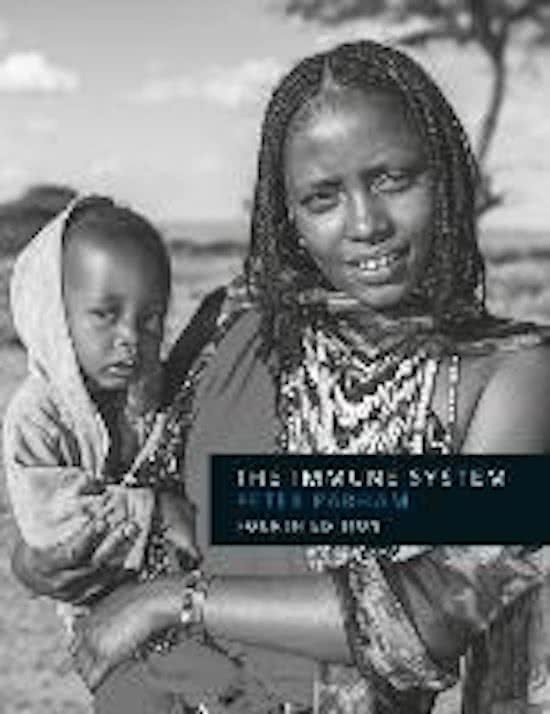 The Immune System Kernboek The Immune System voor geneeskunde in PDF formaat. Summary main topics AMI Summary of the main topics discussed during the lectures of the course Advanced Molecular Immunology at VU university. A brief but complete summary of the Global Health and Infectious Disease minor. A brief, but complete summary of all the subjects discussed in the 'Global Health and infectious disease' minor given at the Radboud University Nijmegen. The perfect document to keep as guidance for the exam. But also useful for any other Global health or infectious disease related learning goals. On this page you find summaries, notes, study guides and many more for the study book The Immune System, written by Peter Parham. The summaries are written by students themselves, which gives you the best possible insight into what is important to study about this book. Subjects like Parham, western blotting, Hoofdstuk 8, biomedical sciences, bacteria, The Immune System, T cell & Kwartaal 4 will be dealt with.